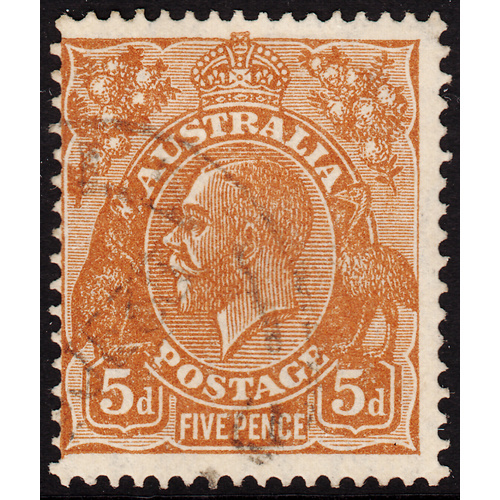 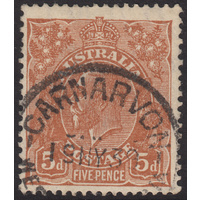 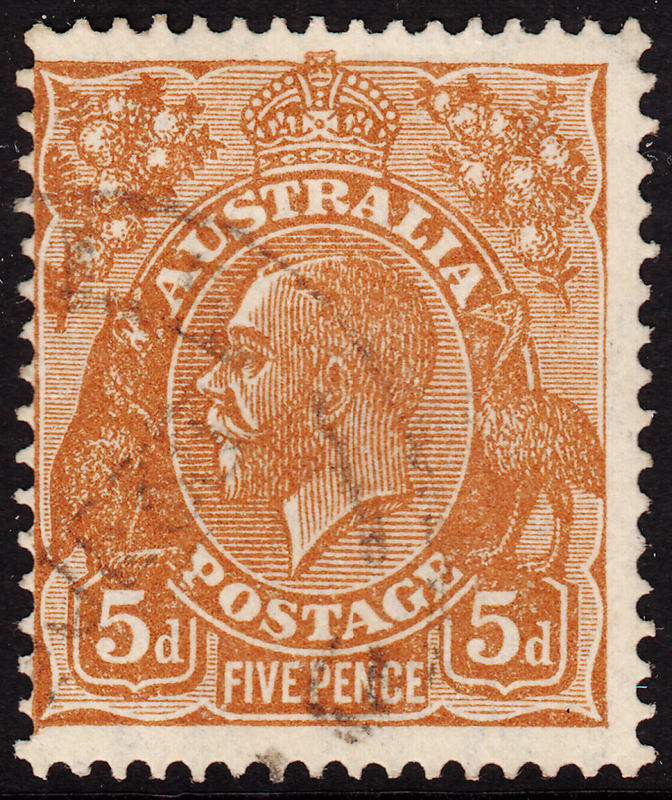 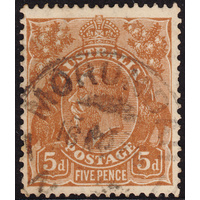 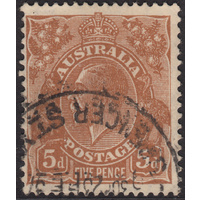 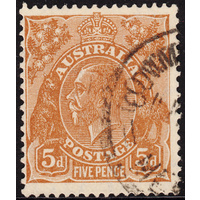 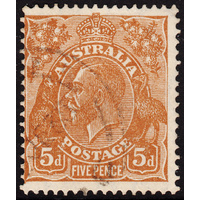 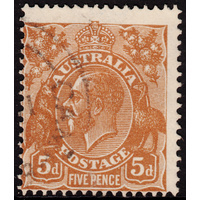 Australia KGV 1931, 5d Brown, Die 2, CofA Watermark, variety 3R48 (crown top shaved at top left corner, left frame shaved at bottom left corner, left ends missing of 5th & 6th shading lines above right wattles where it should join leaf, weak and broken 10th shading line at right of crown, minute breaks in 4th shading line at right of crown, tiny spot in coloured oval in front of Emu's legs) in Fine Used condition with no faults. 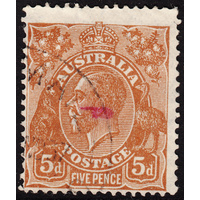 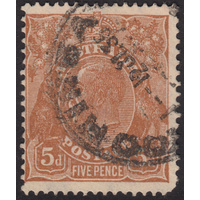 Off-centre to the left with a circular datestamp cancellation (June 1935) well clear of the variety and 4th and 6th indicators. 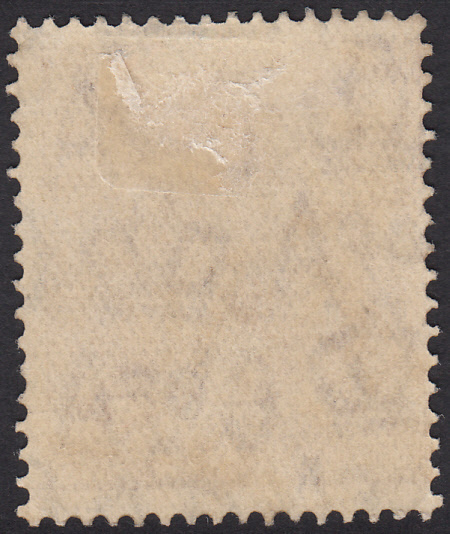 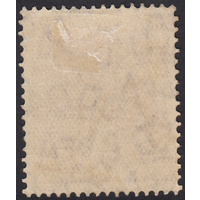 The second indicator is obscured by the placement of the perforations and the third and fifth indicators are over-inked.